Ah, the all-cash offer. If you're a home buyer with this ace up your sleeve, you probably have a swagger in your step as you tour homes, looking for the perfect property. Home sellers swoon over all-cash offers for one simple reason: It means there's no doubt that you've got the coin to close the deal. All-cash home buyers have a distinct advantage over those who need a mortgage, because there's no guarantee that lenders will fork over the money. A lot can get in the way of that happening, from a subpar credit score to a poor home appraisal and beyond. All these what-ifs are eliminated with an all-cash offer; it's a no-strings-attached deal at its finest! 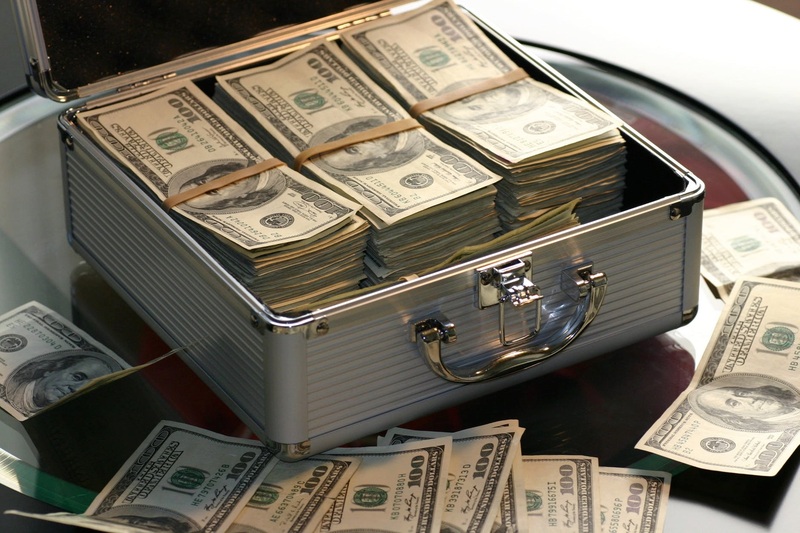 Although you might assume that only millionaires have enough money lying around to make an offer in all cash, such deals are surprisingly common. According to a recent report from ATTOM Data Solutions, all-cash offers made up 29% of single-family home and condo sales in 2017. And they're not necessarily filthy rich: Some buyers are retirees, while others are just savvy home sellers who've gained enough equity in their homes (and other investments) that they can swing an all-cash offer. It turns out that in spite of its many benefits, an all-cash offer isn't always the best move for every home buyer. Here’s how to determine whether an all-cash purchase makes sense for you—and how to do it right. Just because you have the money to purchase property doesn't mean you should definitely do it. Making an all-cash offer comes with both advantages and some lost opportunities. This explains why even extremely wealthy people (such as Mark Zuckerberg!) buy homes with mortgages when they clearly don't need to. Here's a look at what you gain with an all-cash offer, and what you give up. 1. You're in a tough seller's market. If bidding wars are erupting over homes, an all-cash offer can help you cut through the competition and catapult your offer to the top of the list. All-cash can be an advantage when it comes to shorter escrow periods and eliminating some contingencies," says Annapolis, MD, real estate agent Greg Beckman. 2. Depending on your market, an all-cash offer can strengthen your negotiation stance and persuade sellers to accept less than their full asking price. However, in today's low-inventory seller's market, don't expect to get a crazy-good deal because you're paying cash," says Beckman. "But if youre not in a bidding war, you should be able to get the home for a little less." 3. If you're in a rush, an all-cash purchase can streamline the home-buying process for you, too, since there's less paperwork and no delays for mortgage approval. 4. Without a mortgage, you can actually save money on closing costs, title insurance, and other mortgage-related fees. No loan also equals no money wasted on mortgage interest for the next 15 or 30 years. 5. This may seem obvious, but we'll say it anyway: Owning a home free and clear means no mortgage payments! You'll never have to worry about foreclosure (where the lender takes over your home) because you didn't pay your mortgage. 1.Youll be tying up a lot of money in one asset, rather than diversifying your financial portfolio. 2. Your purchase could drastically limit your liquidity. 4. Your money may be better invested elsewhere (depending on how aggressive you want to be with your investments). While an all-cash offer has many positive qualities, there are still some pitfalls you’ll want to avoid. Here's how to do it right. * Homeowners or condo association fees: For a typical single-family home, HOA fees cost around $200 to $300 a month. Don't completely drain your savings. Paying for a house in all cash should not leave you scraping the bottom of your bank account!